Hello everyone! Today is my Jaded Blossom Design Team Day! I have a Birthday card/treat holder for today's project! It is starting to feel like spring now! So I decided to make a spring project! 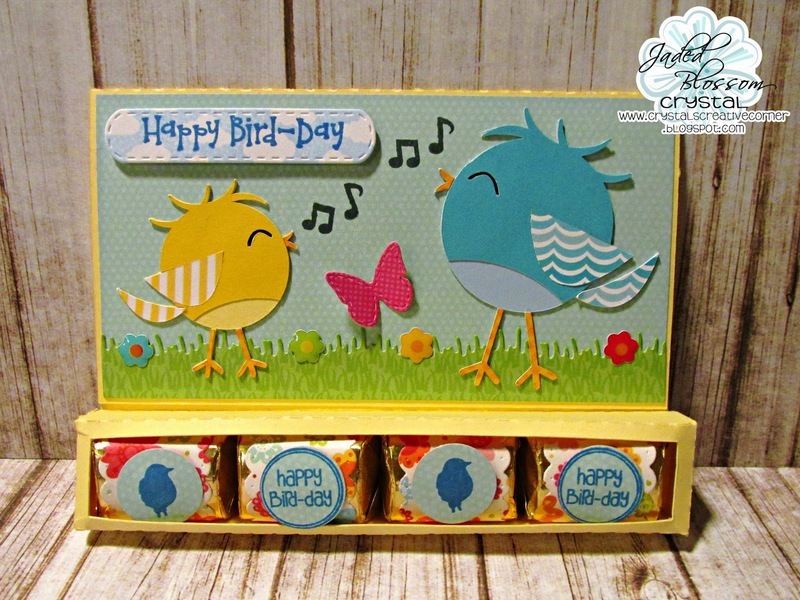 I used the SVG Cutting File Nugget Card Vertical file for the base of the card/treat holder. I found the 2 birds in the Silhouette Store and the little flowers are sprinkles stickers. This is adorable!! Love the birdies and the candies are so fun!